John Keefer Mahony was born in New Westminster, British Columbia on 30 June 1911. Before the Second World War he was a Militia officer in The Westminster Regiment, and would remain with the Regiment as it was mobilized overseas. On 24 May 1944 Major Mahony led his company across the Melfa River in Italy under heavy artillery fire. 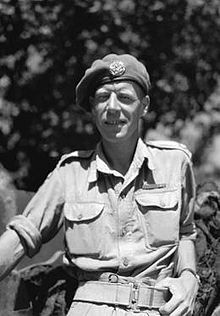 His task was to secure a firm bridgehead on the western side of the river, and was part of the operations by 1st Canadian Corps to break through the Adolf Hitler Line. Although threatened by vastly superior forces, Mahony’s company managed to hold the bridgehead for five hours under continuous fire until reinforcements arrived. In two German counterattacks, his men destroyed three enemy self-propelled guns and one tank – a significant feat considering they had no anti-tank guns. Though he suffered three wounds, throughout Mahony was a constant source of inspiration and determination as he tirelessly organized the defence, visited his men in their positions, and personally directed the fire of the light anti-tank weapons on hand. 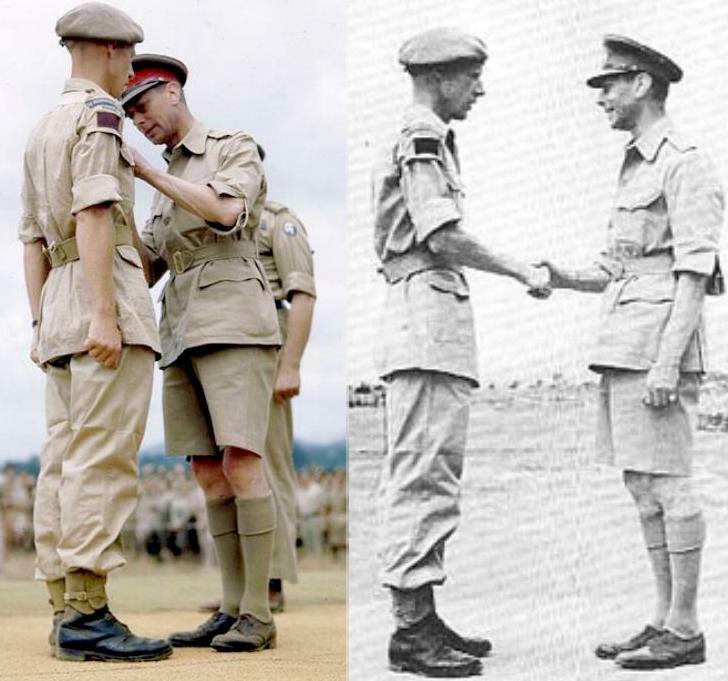 For his exemplary leadership and courage in this action, Major Mahony was awarded the Victoria Cross. Mahony died in London, Ontario on 15 December 1990. “On the 24th May, 1944, ‘A’ Company of the Westminster Regiment (Motor), under the command of Major Mahony, was ordered to establish the initial bridgehead across the river Melfa. The enemy still had strong forces of tanks, self-propelled guns and infantry holding defensive positions on the East side of the river. Despite this, Major Mahony personally led his Company down to and across the river, being with the leading section. Although the crossing was made in full view of and under heavy fire from enemy machine-gun posts on the right rear and left front, he personally directed each section into its proper position on the West bank with the greatest coolness and confidence. The crossing was made and a small bridgehead was established on ground where it was only possible to dig shallow weapon pits. From 1530 hours the Company maintained itself in the face of enemy fire and attack until 2030 hours, when the remaining Companies and supporting weapons were able to cross the river and reinforce them. The bridgehead was enclosed on three sides by an 88 mm. self-propelled gun 450 yards to the right, a battery of four 2 cm. A.A. guns 100 yards to the left, a Spandau 100 yards to the left of it, to the left of the Spandau a second 88 mm. self-propelled gun, and approximately a Company of infantry with mortars and machine-guns on the left of the 88 mm. gun. >From all these weapons, Major Mahony’s Company was constantly under fire until it eventually succeeded in knocking out the self-propelled equipment and the infantry on the left flank. Shortly after the bridgehead had been established, the enemy counter-attacked with infantry supported by tanks and self-propelled guns. The counter-attack was beaten off by the Company with its P.I.A.T.’s, 2” Mortars and Grenades, due to the skill with which Major Mahony had organised his defences. With absolute fearlessness and disregard for his own safety, Major Mahony personally directed the fire of his P.I.A.T.’s throughout this action, encouraging and exhorting his men. By this time, the Company strength had been reduced to 60 men, and all but one of the Platoon Officers had been wounded. Scarcely an hour later, enemy tanks formed up about 500 yards in front of the bridgehead and in company with about a Company of infantry, launched a second counter-attack. Major Mahony, determined to hold the position at all costs, went from section to section with words of encouragement, personally directing fire of Mortars and other weapons. At one stage, a section was pinned down in the open by accurate and intense machine-gun fire. Major Mahony crawled forward to their position, and by throwing Smoke Grenades, succeeded in extricating the section from its position with the loss of only one man. This counter-attack was finally beaten off with the destruction of three enemy self-propelled guns and one Panther tank. Early in the action, Major Mahony was wounded in the head and twice in the leg, but he refused medical aid and continued to direct the defence of the bridgehead, despite the fact that movement of any kind caused him extreme pain. It was only when the remaining Companies of the Regiment had crossed the river to support him that he allowed his wounds to be dressed and even then refused to be evacuated, staying instead with his Company. The forming and holding of a bridgehead across the river was vital to the whole Canadian Corps action, and failure would have meant delay, a repetition of the attack, probably involving heavy losses in men, material and time, and would have given the enemy a breathing space which might have broken the impetus of the Corps advance. Major Mahony, knowing this, never allowed the thought of failure or withdrawal to enter his mind, and infused his spirit and determination into all his men. At the first sign of hesitation or faltering, Major Mahony was there to encourage, by his own example, those who were feeling the strain of battle. The enemy perceived that this officer was the soul of the defence and consequently fired at him constantly with all weapons, from rifles to 88 mm. guns. Major Mahony completely ignored the enemy fire and with great courage and absolute disregard for personal danger, commander his Company with such great confidence, energy and skill that the enemy’s efforts to destroy the bridgehead were all defeated.